Hourly parking charges in a local garage form an arithmetic sequence. It costs $3.75 to park for 4 hours and $5.25 to park for 6 hours. How much does it cost to park for 1 hour? 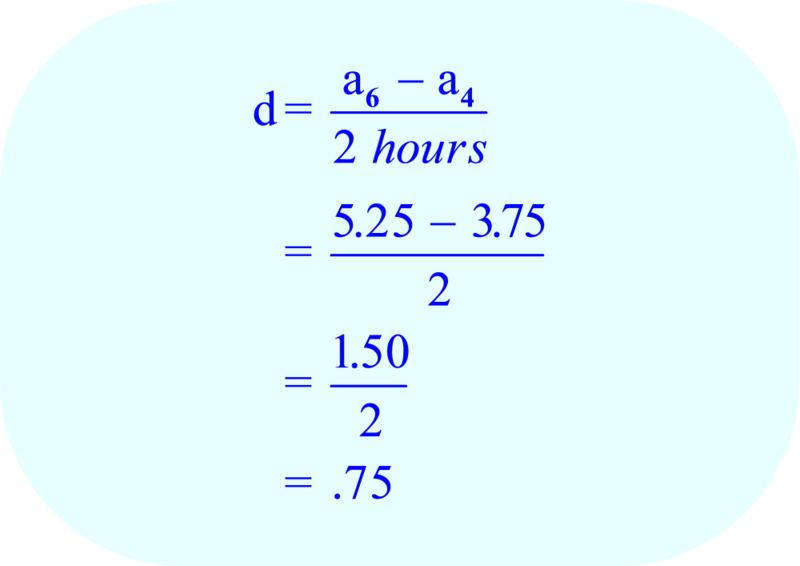 Calculate the common difference for each hour. 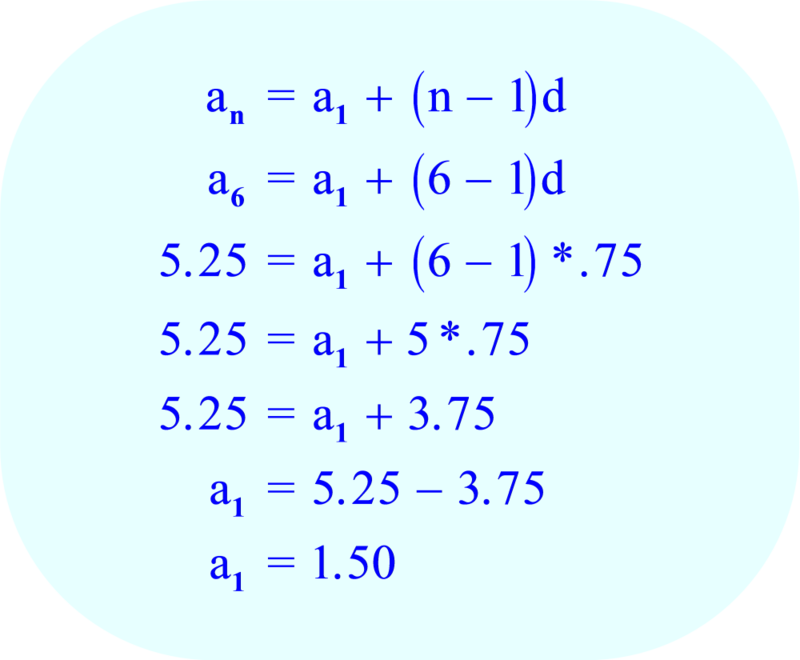 The number of terms in the sequence = 6 (one term for each hour). You can calculate the last term (the cost of parking for 6 hours) using the formula. 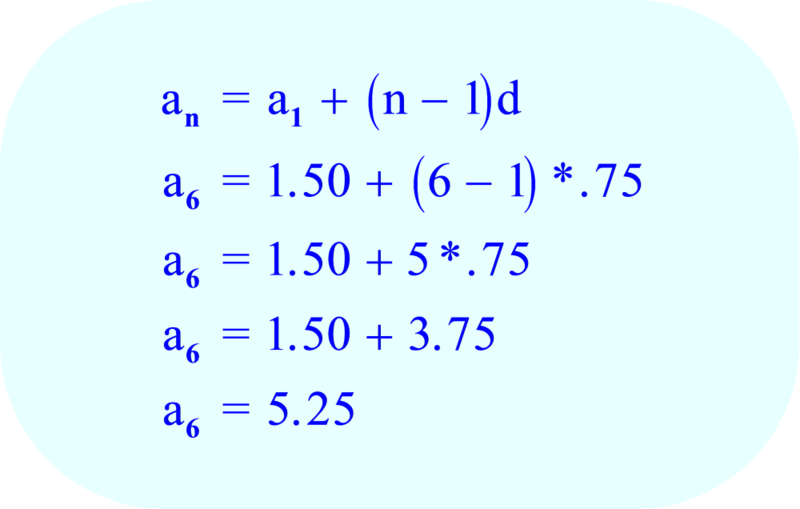 If the values of a₁, n, and d are correct, then the formula should calculate the last term to be $5.25.